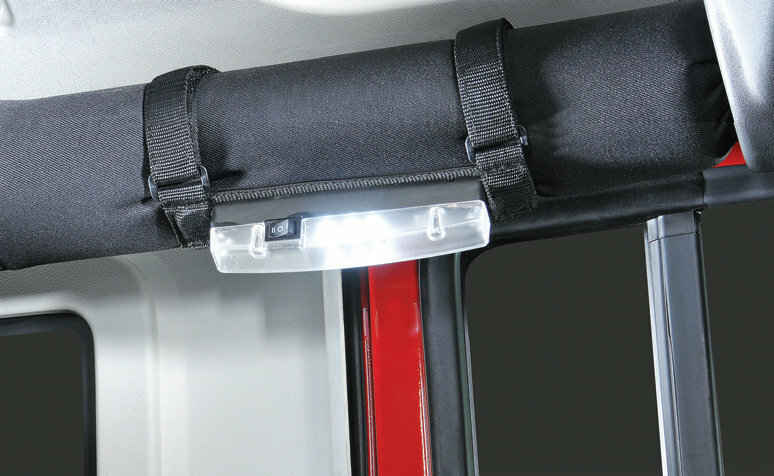 Crown Automotive's Rough Trail LED universal light kit attaches to any square or round bars up to 4in using wraparound hook and loop fasteners. Comes with long life superbright led bulbs. 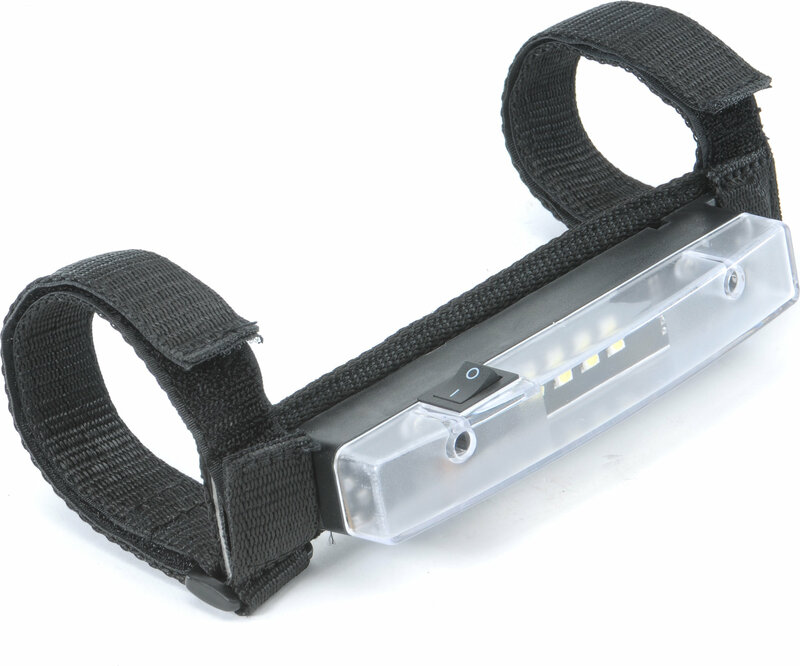 The light uses a quick release for easy removal and mobility. Uses three AAA batteries which are not included. This is handy ! I wouldn't call it super brite, if it were I'd give it a 5. Hard to beat for the money...very bright, good velcro, easy to mount, doesn't budge on tough trails, and is easy to operate.